Powder for oral application fine, white, odorless, soluble in water to form a white precipitate. Vetom 3 contains as active ingredients dry bakmassu live spore-forming bacteria Bacillus amyloliquefaciens strain VKPM B-10642 (DSM 24614) as well as auxiliaries - sugar or powdered sugar and starch. Bacteria Bacillus amyloliquefaciens VKPM B-10642 (DSM 24614) used for manufacturing the drug, are highly resistant to digestive juices and enzymes of the gastrointestinal tract and its ability to move quickly. absorption and metabolism (iron, calcium, fats, proteins, carbohydrates, triglycerides, amino acids, dipeptides, sugars, bile acid salts). Vetom 3 stimulates cellular and humoral immunity factors. In 1 g of the preparation contains 1 × 106 CFU (colony forming units) of live microbial cells of bacteria Bacillus amyloliquefaciens strain VKPM B-10642 (DSM 24614). enhance the natural resistance of the organism. From prevention to Vetom 3 used group method with water, feed, premixes, mineral-vitamin supplements and other feed mixtures at the rate of 1.5 kg per 1 ton or individually with water or food at a dose of 50 mg / kg body weight 1 time / day for 15-20 days. Allowed rectal method of administration Vetom 3 at a dose of 50 mg / kg body weight 1 time / day for 15-20 days. The drug is diluted with warm boiled water and administered to the animal after the enema. A drug treatment to prescribe a dose of 50 mg / kg body weight 2 times / day with an interval of 8-10 hours prior to the disappearance of clinical signs of disease. In severe cases the dose frequency may be increased up to 4 times / day at intervals of 6 hours. To correct immunodeficiency states Vetom 3 appoint 1-2 times / day at a dose of 50 mg / kg body weight for 5-10 days. Special measures when skipping receiving one or more doses of the drug are not provided, the treatment or prevention continue. Features of the drug at the first admission or cancellation is not set. When using the drug in accordance with the instruction of side effects and complications is not noted. Symptoms of toxicoses or other undesirable reactions in case of an overdose of Vetom 3 were not detected. Contraindications when using the drug - not identified. It is forbidden to appoint Vetom 3 simultaneously with antibiotics and sulfonamides. 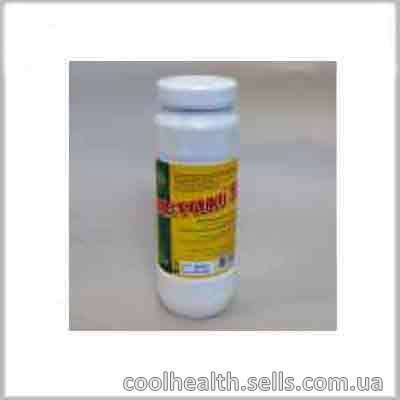 Probiotics Vetom 3 personal prevention measures. In applying the drug Vetom 3 should observe good personal hygiene and safety provided when dealing with drugs for veterinary use. Special precautions for working with the drug are not required. When working with the drug is prohibited to drink, smoke and eat. After work should wash their hands with soap and water. In case of skin and / or mucous membranes of their recommended with plenty of tap water.